Twenty sleeps till Santa and the Advent Calendar special offers continue. Today special deal is the Chinese Tier VII Premium light tank Type 62. The Premium Shop deal comes with the usual 20% discount for the bundle, with the tank, some Gold and Premium Account and a fully trained crew, but if you are looking to spend some spare Gold, you can buy the tank for 5,100 Gold in the in-game store. Bring spare repair kits in case multiple modules get damaged. This tank can take out scouts before they report your allies locations to their friends. However, leave the brawls to heavier vehicles in your team. While it has a powerful gun for a scout, it’s not quite as fast as other scouts. Work together with your team to take enemies down. *Note: Earn this bonus by ranking within top 10 by EXP in your team! Not applicable for first victories. Please remember, you have to manually activate the Advent Calendar every day in-game. Receive a Fire for Effect award. Tier IV or higher vehicles. It’s an enjoyable little tank; pretty similar to the WZ-131. 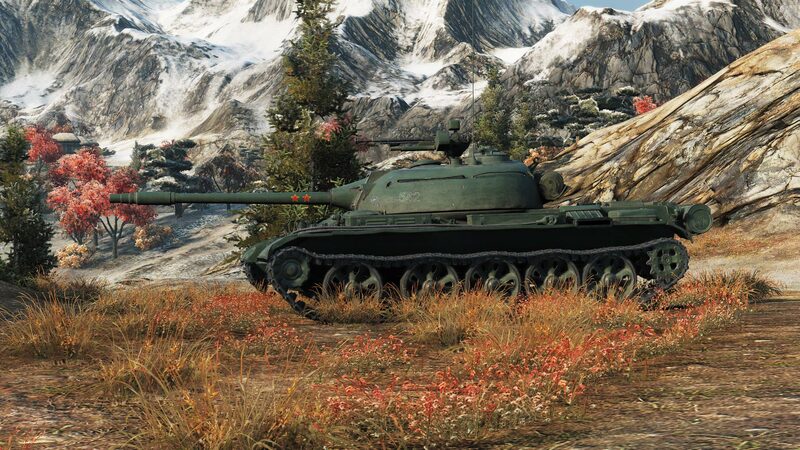 If anybody is looking for a Tier VII scout, the 13 57F is definitely the better choice, but you can still have a lot of fun in the Type 62.
for me, it says you can buy the tank ingame for 5100 Gold ? Next Entry Watch a Stream – Receive a Free Container!